Gaye produced many internationally acclaimed and award-winning books in the four years she was the Creative Director for UK publishing company Mitchell Beazley, which was at that time one of the world’s leading publishers of highly illustrated and successful wine books. 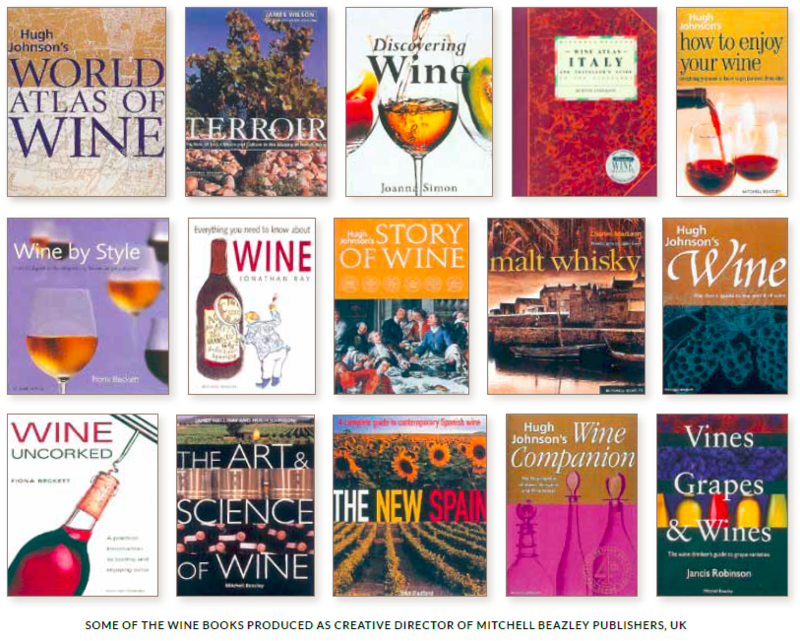 The range of wine books designed in theseyears spanned from the laymans “entry level” wine resource books (designed for those with little or no knowledge of wine) to complex wine atlases, to advanced level wine books which explored the more scientific aspects of the art of winemaking. 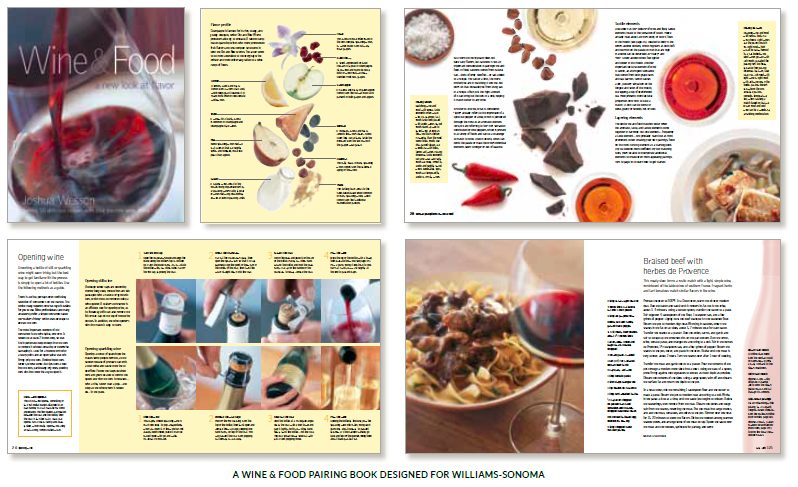 This food and wine pairing book was designed whilst working as the V.P. and Creative Director for San Francisco based publishers Weldon Owen. The book guides readers through the fundamentals of different wine styles and then graphically shows the typical flavor profiles of the most common grape varietals. Both “New World” and “Old World” wine pairing suggestions accompany the specially commissioned photography of the delicious recipes. In 2013 Meadowlark Publishing produced a highly illustrated 176-page wine touring guide to South Africa's Cape Winelands. In 2014 Meadowlark Publishing created the first highly illustrated wine guide to Lake County, one of the least well known but most spectacular wine regions of Northern California. More details are on the recent projects page. For four years Gaye managed the Creative Direction for the first 30 highly successful "Eyewitness Travel Guides" for Dorling Kindersley Publishers in London. To create these extremely complex books, she managed a staff of over 35 art directors, designers, and picture researchers as well as many photographers and illustrators. Gaye has also created many activity-based travel books with topics such as mountaineering and fly-fishing.